By combining biochemical techniques with new, fast DNA-sequencing technology and advanced computer technology, the team was able to examine with unprecedented resolution how a cell converts DNA into RNA – a molecular cousin of DNA that is used in the process of creating proteins that govern most biological functions. And they did so within the cell itself, rather than in a test tube. As a result, they were able to bridge an important gap in the understanding of what causes genes to be turned on and off. Their findings will appear in the Jan. 20 issue of the journal Nature and online at www.nature.com. The main way the genome is “read” in a cell is through its transcription into RNA, the researchers explained. Until now, scientists have been able to detect which RNAs were produced, but have had a limited view of how much of the genome was being decoded, or “transcribed,” or what controls how fast these RNAs are made. The new technique enables them to watch this process directly. The advance enables researchers to make sense of the vast amounts of data generated by the Human Genome Project and the multiple genome sequencing efforts worldwide, while providing new tools for studying basic processes like the reprogramming of stem cells, Weissman said. “The genome is the hard drive of the cell,” explained L. Stirling Churchman, PhD, who was the first author of the two-author paper and last year was honored for this work with the Dale F. Frey for Breakthrough Scientists award of the Damon Runyon Cancer Research Foundation. “Until now, we’ve been able to see the information that the hard drive contains as well as see the result after the cell has read that information, but we didn’t know which precise data it was accessing. “Here, we’ve been able to see which data it is accessing, with a high enough resolution to also be able to see how it’s actually working,” she said. Until quite recently, many scientists thought that less than 5 percent of the human genome was actually transcribed into RNA and therefore used in the cell’s function, Churchman said. Recent advances in the field have revealed a tremendous complexity in that process, with new understanding that the majority of DNA is transcribed. Much of the product is still considered “junk RNA” – simply a byproduct of the process. The research focused on DNA transcription in baker’s yeast, largely because that organism’s genome has been extensively studied. As a result, previous scientists had already developed maps of the genome and identified the positions of nucleosomes along it. Nucleosomes are grape-like structures formed by strands of DNA wrapped like vines around histone proteins, and serve to organize enormously long DNA molecules. recently in that part of the gene code and a “plan” for what should happen in the future. By overlaying those maps with their own maps of RNA production, the scientists were able to observe for the first time that polymerase comes in direct contact with the histone proteins during the transcription process, while also seeing how the nucleosomes acted as a speed bump for the polymerase enzyme as it moved along the genome transcribing DNA into RNA. In addition, the research showed that the organization of histone marks controlled whether “junk RNA” was produced from a given region of DNA. This new approach gives researchers a precise view of the process in action, as well as insights on general trends in how histone proteins and their marks affect transcription. 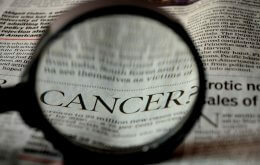 The research was supported by the Damon Runyon Cancer Research Foundation and by the Howard Hughes Medical Institute. The authors declare no conflicts of interest. Churchman and Weissman were the sole co-authors on the paper. Both are affiliated with the UCSF Department of Cellular and Molecular Pharmacology and the California Institute for Quantitative Biosciences, at UCSF. Weissman is also an investigator with the Howard Hughes Medical Institute.